Bring the power of your GradPro software to the Internet! 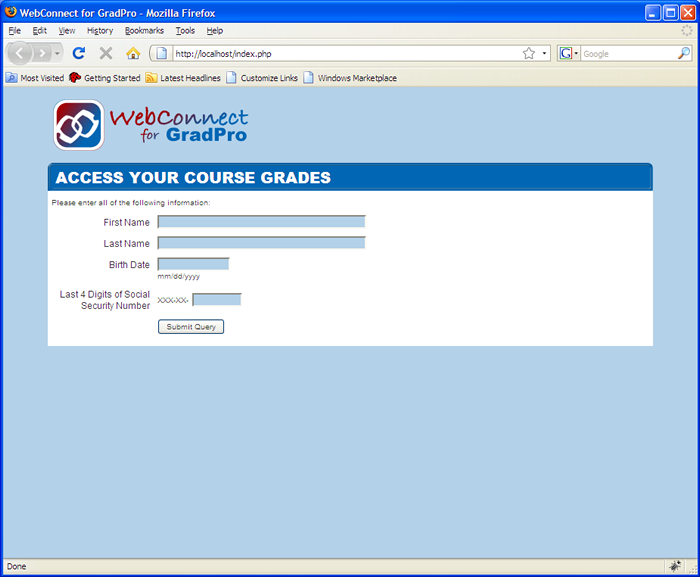 Do you want to interact with your students over the web? 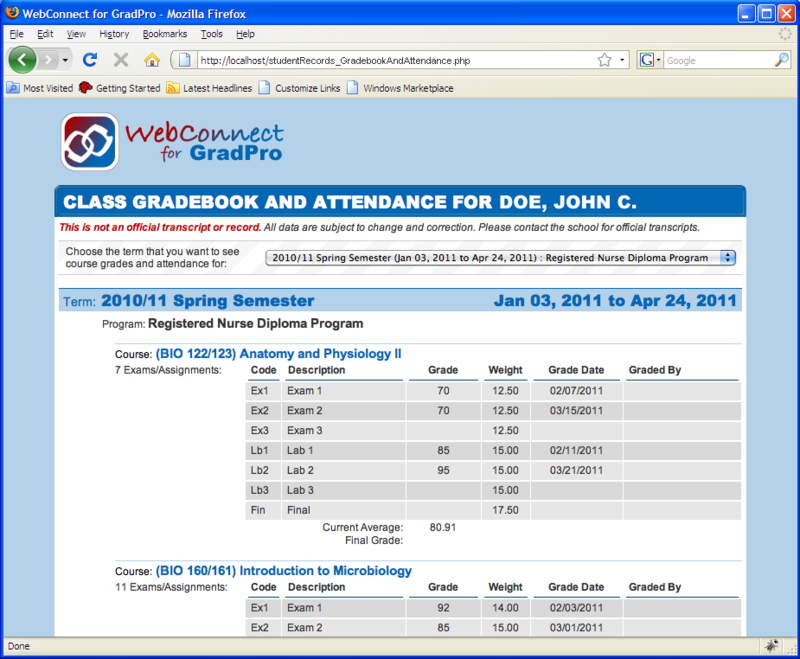 Do your students want to see their final grades via the web? 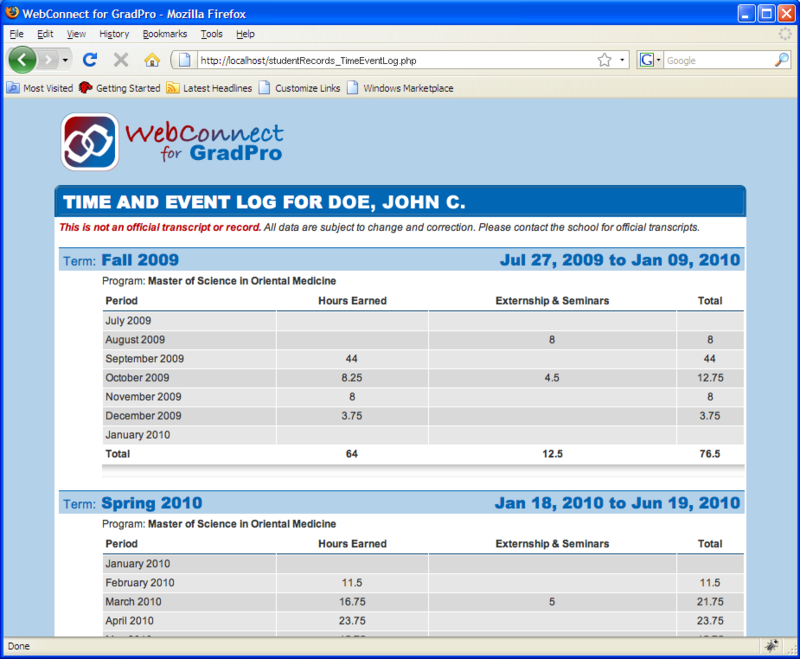 Introducing WebConnect for GradPro: web-server software specifically written to interact with your GradPro Student Information System. 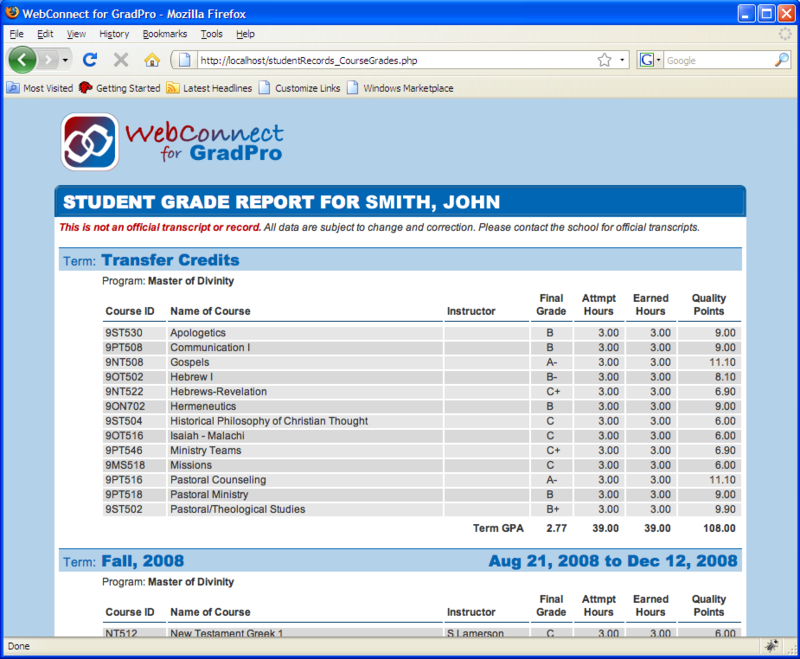 Students can use the internet to access transcript information, such as final course grades. 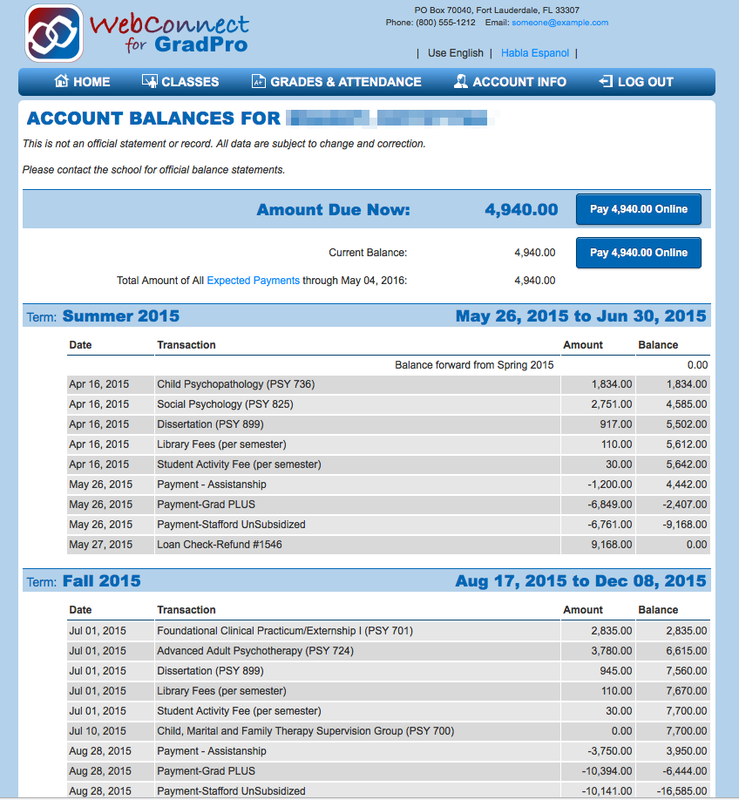 Students can check their account balance via the website. 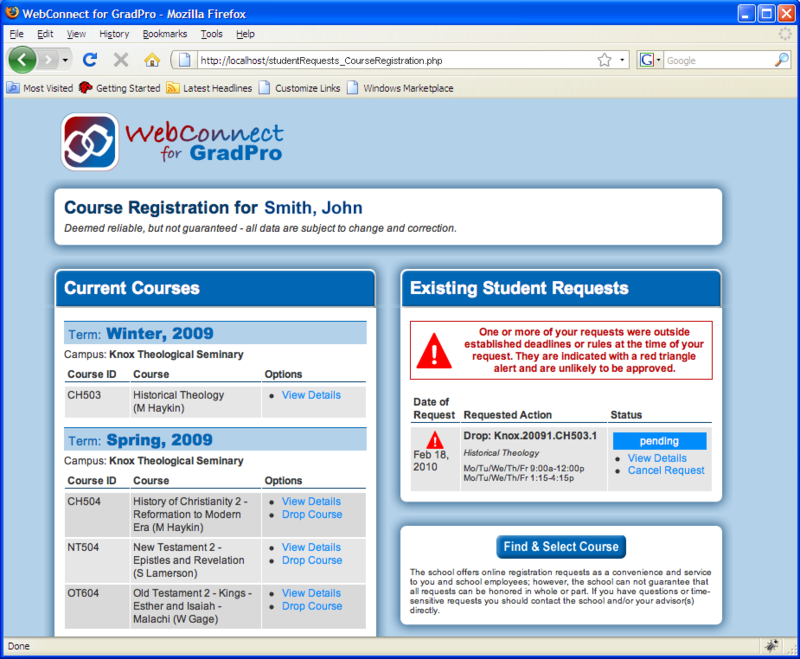 Students can request to drop courses, add courses, or audit courses based on school policies. 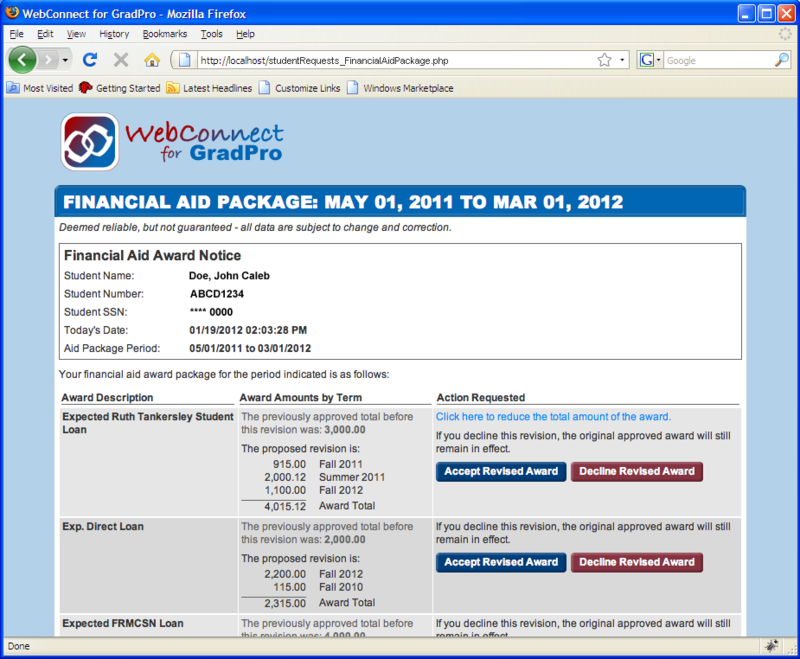 Students can approve or reject financial aid packages electronically using the Internet. 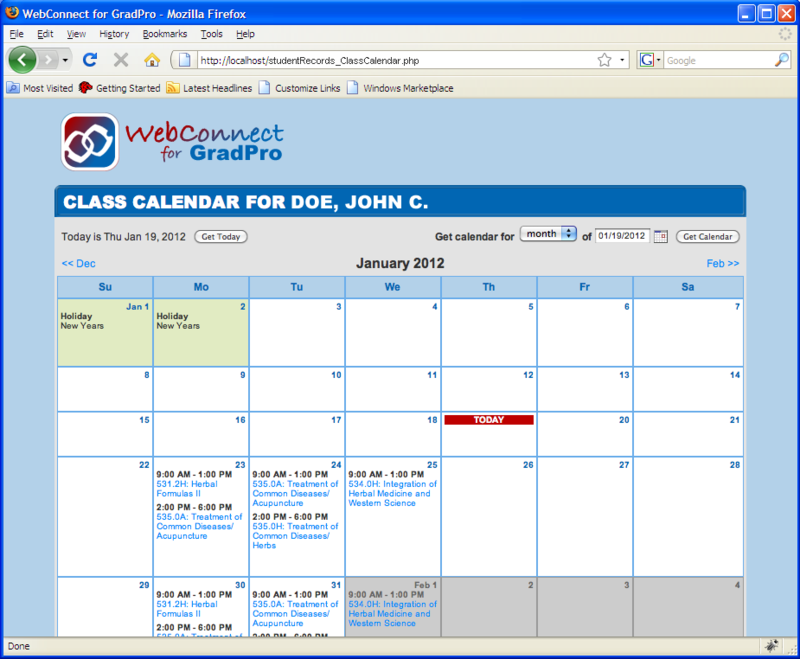 Students and faculty can view their course calendar. System authentication is configurable based on GradPro account information on file. Control special access codes or passwords directly from within GradPro. Post messages direct to a student that he/she will see when authenticated. Fully customizable themes so your website branding can be maintained. Our hosting service makes the web simple. We know that your focus should be on your students, your school ... your business! We've heard your requests and we've responded with an excellent offering that's hard beat. © 2009 - 2019 Merrill Consulting Group, LLC. All rights reserved.